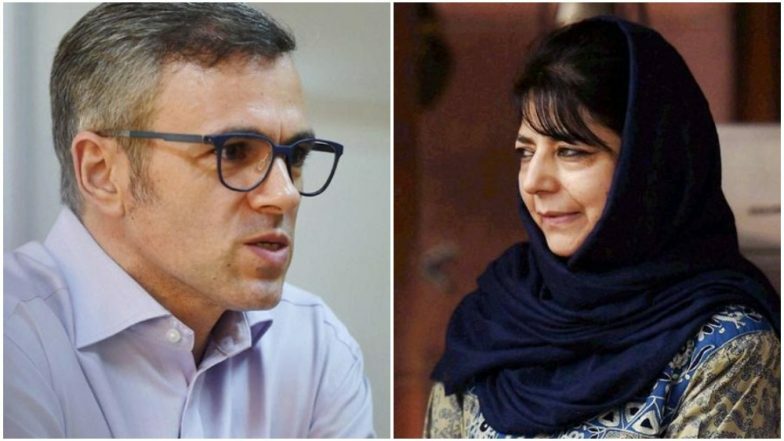 Srinagar, March 23: Former Jammu and Kashmir chief ministers Omar Abdullah and Mehbooba Mufti have said the Centre's decision to boycott the Pakistan Day function at its High Commission in Delhi was due to the Lok Sabha polls. India has decided to boycott a reception at the Pakistan High Commission to mark that country's national day as several separatists leaders from the state have been invited to the event, the External Affairs Ministry said Friday. Pakistan National Day 2019: Imran Khan Says PM Modi Messaged Him to 'Extend Wishes, Greetings'. "On one hand, PM sends greetings to Pak for its national day. On another, many invitees to celebrations held at Pak High Comm were harassed outside by cops. This dichotomy & inconsistency is a well thought out strategy dictated entirely by electoral prospects & domestic politics," PDP president Mufti tweeted. "The Modi Govt/BJP had no problem sending a Minister in 2015, '16, '17 & '18 yet suddenly in 2019 as an election looms a decision is taken to boycott & then we put officers to dissuade other invitees. To think we used to blame Pakistan for having an India centric campaign!" he said in a series of tweets. Abdullah said if Prime Minister Narendra Modi had not sent his greetings to his Pakistani counterpart Imran Khan, there would have been no confusion about Delhi's relations with Islamabad. "If only the spooks & other interested players stopping people from attending the Pak National Day event had also stopped PM Modi from sending his greeting to PM Khan we wouldn't look so damn confused about our relations with Pakistan," he said. "But then if he's only following custom it is also custom to send a minister & it is NOT custom to plant spooks & pliant journalists to bully invited guests to not attend. Can't pick & choose which customs we like & which we don't," he added. Over the years, India's representation at the annual event has been at the level of a Union minister. The External Affairs Ministry said no Indian representative will attend similar events in Islamabad as well.